‘An Cathair Craobh Dhearg’ or ‘The City’ as it is locally known today was an ancient pagan place of worship dedicated to Anú, a pan-European deity who gave her name to places such as the River Danube in Central Europe. Anú, this goddess of Central European origins was worshipped by pre-celtic and celtic peoples alike at ‘The City’ at the base of the twin mountains ‘An Dá Chích Dánann’ or the breasts of Danú (The Paps). In ancient Irish mythology, Ánann or Anú was associated with the mythological Tuatha Dé Danann, a learned society of poets, artists and musicians who came to Ireland from Boeotia in Greece. ‘An Cathair Craobh Dhearg’ is the oldest centre of worship in the western world and is located near Shrone, outside Rathmore in East Kerry. Danú was the Goddess of ‘An Tuatha Dé Danann’. She was the daughter of the Dagda, who was the chief God of the Tuatha De Danann. According to legend, at the battle of Magh Tuireadh, the Dagda saw his Harper Uaithne taken away be the piratical Formorians who they were in combat against. The Dagda followed the fleeing Formorians to their retreat and on recovering the harp he played the most ancient form of Irish music starting with the goltraí until the women wept, then the geantraí until they all burst out in laughter and lastly the suantraí until they all fell asleep after which he freed his Harper and brought him home. The uplands of North Western Cork, East Kerry and along the South Western margins of Co. Limerick are known as Sliabh Luachra. The Kingdom Of Luachra was first noted in the “Annals of Inisfallen” in 534 AD when the King of Luacar won a battle against Tuathal Moel nGarb and again in 741 AD with the death of Cuaine, Abbot of Ferna and Flan Feórna, son of Cormac King of Luachra. Sliabh Luachra, high in altitude and rainfall with poor agricultural land was for the most part uninhabited. Sliabh Luachra has always been well known for its’ ‘heavy’ land with many areas of bogs, heathlands, and wet rushy ground. Sliabh Luachra was settled in earnest following the death of Gerald Fitzgerald, the 15th Earl of Desmond in 1583. Teach an Iarla, his final refuge may still be seen cut into a glen in the heart of the Mullaghareireck Mountains in Sliabh Luachra near the source of the River Blackwater, Ireland’s fourth longest river. With the Munster Plantation well underway in the 17th century, many native Irish people found themselves dispossessed, landless and fleeing to the inhospitable uplands of Sliabh Luachra which they successfully made home. The Plantation of Munster began with a half a million acres being declared Crown property and distributed among English landlords with the original inhabitants being ordered to Hell or to Connaught. Some of the dispossessed and poverty stricken people of Munster took refuge in Sliabh Luachra which was also Crown property with much of it recorded as mountain pasture. Crown Authorities, despite their many efforts failed to get any landlords for vast areas of the region and this proved attractive to those dispossessed. The survivors of the defeated Confederate Army later added to this group after the Battles of Knocknanuss and Knockbrack. The battle of Knocknanuss took place on The 13th November 1647. This battle was fought between the Confederate Army and the Army of the Parliament. The Confederate Army were led by Lord Taaffe who was assisted by a Scottish General and swordsman named Allister McDonnell. McDonnell was known as Allistrim and was killed in the battle. Allister McDonnell, the Scotsman is still remembered in three Irish tunes for the roles he played in Duhallow. The first, Allistrim’s March was composed for the battle of Knocknanuss by Sliabh Luachra poets and musicians. Secondly, the Allistrim Jig to which his wife danced by his graveside on a half door in Clonmeen graveyard. Lastly and thirdly, the Slow Air Gol na mBan san Ár which reputedly was composed by his mother, foster mother, wife and daughter. With the Confederate Army led by Lord Muskerry, the Army of Parliament won this second battle again. Traditional Gaelic Ireland, which barely survived after the Battle of Kinsale in 1601 reached its end after of these two battles. 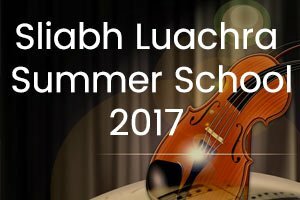 However, in its defeat started the tradition of preservation of traditional Gaelic culture, values and heritage in Sliabh Luachra’s society. The survivors of the defeated Confederate Armies from both battles took refuge in the Sliabh Luachra area which was then an inaccessible and inhospitable place to live. This was a hilly area, with mountain heath lands and bog, marsh, scrub woodland, no infrastructure and boundaries of any description, drainage or urban centres with services. At least, authorities did not disturb them there however, and for this they were thankful and lived reasonably happy lives despite impoverished conditions. Over time, the land improved somewhat through spreading lime to improve soil fertility for cultivating subsistence crops, vegetables and feeding animals. Children received a high standard of education in the Hedge Schools of Penal Times with many becoming fluent in Irish, English, Latin and Greek. Later, there were Classical Schools found in Sliabh Luachra and even a school for spinning near Hollymount (outside Rathmore) in southern Sliabh Luachra. They provided their own entertainment by immersing themselves in the traditional music, dance, poetry and storytelling of Sliabh Luachra which indeed became the property of the dispossessed. Sliabh Luachra remained undisturbed and almost unaccounted for until the agrarian disturbances of the Rockite movement in the 1820s. The Rockite Movement began in West Limerick in the summer of 1821. In the region around Newcastlewest a conflict between the Land Agent of the Courtenay estates Alexander Hoskins and the tenants led to the assassination of Hoskins son in July 1821. This conflict had been provoked by Hoskins harsh treatment of the tenants of the estate. Hoskins conduct had been criticised by many, including the Under Secretary in Dublin Castle William Gregory who had remarked that nothing could be more oppressive than the conduct of Lord Courtenay’s agent. Although this disturbance was the only instance of agrarian unrest in Munster at that time five regiments of troops were sent to quell it. The disturbance from this conflict spread into Sliabh Luachra. The first leader of the Rockite Movement known as Captain Rock was Patrick Dillane who may have come from the Sliabh Luachra. Many leaders of the Rockite Movement sought refuge in Sliabh Luachra, at that point still largely inaccessible as no roads had been built. The British Government then became concern about an area of 960 square miles from which they were getting no return, and for which they stated was a haven for outlaws, rebels and rapparees. Since there were no roads or communications into the area, it was almost impossible for them to control it. Arising from this disturbance, the Commissioners of his Majesties Treasury had the area surveyed by Richard Griffith (Surveyor of the Department of Woods and Forestry) and James Weale Officer (of the Revenue Department). In 1830 they produced the Report, on the Crown Lands of County Cork which was debated in the House of Commons. It pointed out the disadvantages of the area. The people according to them were rebellious and their wickedness went unpunished as the authorities could not get to them. It was also pointed out that farmers from North Kerry and parts of West Limerick would in the summer time take butter on a mountain path through the Rockchapel area on horseback, two firkins per horse to Newmarket where it was transferred to horse carts carrying 24 firkins and send on to the largest butter market in the world in Cork City. In 1830, these farmers send 30000 firkins valued at £52000, with much of it passing through the Rockchapel mountain path. As a result of this report, many roads were built in the area including the road from Castleisland to Clonbanin and from Ballydesmond to Newmarket. The New Line Road along the Feale Valley from Feale’s Bridge through Rockchapel and to Newmarket was built at this time. The engineering work on these roads and bridges was done by Richard Griffith who is now best known in Ireland through the Griffith Valuations (1848 – 1864). 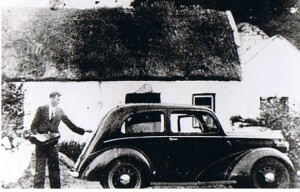 The village of Kingwilliamstown (renamed Ballydesmond in 1951) was built as a result of the report as was the Model Farm at Glencollins near Ballydesmond where it was demonstrated that good grass could be grown on peaty soil using burnt lime. Resulting from the latter findings, many limekilns were also built round Sliabh Luachra. The construction of the New Line Road, church (1833) and school (1847) started the formation of a village and community in Rockchapel (Séipeal na Carraige). Today, Sliabh Luachra is identified as a region with a distinctive genre of traditional Irish music, song, dance, and poetry which it has safeguarded over the centuries. The area has produced some of Irelands greatest poets including Geoffrey Fionn Ó Dálaigh who died in 1387 and Aodhagán Ó Rathaille (1670 – 1720). Eoghán Rua Ó Súilleabháin (1748 – 1784), charismatic Gaelic poet lives on in folk memory through his many exploits along with his poetry, ‘Aislings’ and of course the solo set dance Rodneys Glory which was composed in 1783 following his exploits after being forced to join the British Navy. 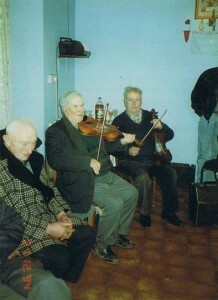 Sliabh Luachra had a wealth of traditional fiddle masters whose names are legendary and gave the music, a draíocht or a feeling that it came from the soul of the people expressed through their views, hopes and fears. Much of the traditional music and dance of Ireland during troubled times was used as emotive expression of the views of the Irish people, which were well understood by them though meaningless to their oppressors. Much of this draoícht or deep meaning is under threat of being lost today in the 21st century rush to modernise and standardise our music and dance. The perceived benefits of cultural standardisation, i.e. for short-term commercial gains of an uninformed market, to satisfy current mass cultural trends or even in an effort to win competitions, are quite misleading. The perceived benefits threaten to dilute our ancient and highly valued traditions which have died out in many areas of the country. It is in fact a threat to regional, cultural and even societal identity along with musical dialect (the Sliabh Luachra genre). The more traditional dances of Ireland such as The Bridge of Athlone, The Bonfire and The Waves of Tory have faded into memories of time past. An Rince Mór and An Rince Fada were danced at the fair of Carman in the year 1200 and were always part of the Celtic festival of Bealtaine. These dances also featured at ceremonial occasions such as the arrival of an honoured guest, for example An Rince Fada was danced to welcome James II on his arrival in Kinsale in March 1698. These dances are regrettably no longer popular in Ireland. This may also be said for our solo set dances such as The Garden of Daisies, The Job of Journeywork, Youghal Harbour and the dances that were composed to celebrate the Jacobite War and Napoleonic Wars when it was felt these wars might result in gaining freedom for Ireland. A whole range of dances connected to historic events in Ireland are being lost and replaced by contemporary forms, often added to by disconnected performers, in non-traditional costume which contrasts greatly to the traditional form practised in the homesteads and crossroads of Ireland through the centuries. It’s only relation to tradition in cases is that it is danced to traditional Irish music. A dance master named Donchada Ó Morá, or ‘Mooreen’ as he was known, brought many traditional dances to North Kerry and Sliabh Luachra. He came to Listowel with a circus in the early 18th century and stayed on. He travelled around the local area in North Kerry and even as far as Sliabh Luachra teaching traditional step dancing. 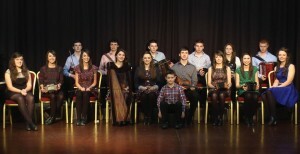 Many of whom he taught in Sliabh Luachra went on to become masters of traditional Irish dance in their own right. He became acquainted with the poetic music and activities of Eoghan Rua Ó Súilleabháin and composed a dance called Rodney’s Glory to accompany Eoghan Rua’s tune of the same name (composed 1783). Mooreen is buried in An Teampaillín Ban graveyard near Listowel. Sliabh Luachra hit the headlines in the 1960s for reasons other than its music and culture. An eminent Irish-American Pathologist, Dr Albert E. Casey discovered that the people of Sliabh Luachra have a longer lifespan than any other in Ireland if not in the world and the men had a longer lifespan than the women.This was, despite having a diet that consisted of plenty milk, fat bacon, eggs and men folk drinking many pints of porter. In a paper to the learned International Academy of Pathology of San Francisco, Dr Casey concluded that the reason for their long lifespan was peace of mind, no stress, helped by fresh air, and the closeness of the bogs which are noted for the preservative power. While there was a decline in Irish traditional music in the first part of the 20th century, this did not affect Sliabh Luachra and authentic music, traditions and culture of the area continued to be passed down as it was over the centuries. We must ensure that that the link is not broken and that living traditions are passed on intact and unchanged to future generations.